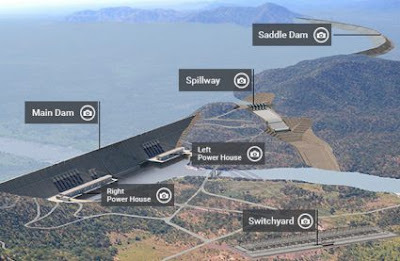 Heavenly Father, today we pray about water access talks taking place between three African nations as Ethiopia continues building its massive Grand Ethiopian Renaissance Dam on the Blue Nile, near the border with Sudan. Lord, you look down at the earth and see this river, so small in your eyes, yet a seeming source of life for the people of Egypt, Ethiopia and Sudan. God, you know the nature of humankind even better than we do, so we all know that this could potentially lead to great trouble within these countries. We pray for these nations to employ political wisdom, compromise and goodwill as they seek to resolve conflicts—both present and potential--that are arising as a result of Ethiopia now gaining control of this river. May these nations also be transparent, honest and effective in their data-sharing. We pray against any conflict that would lead to drought and death. May this situation actually lead to these nations developing even better, more generous relationships with each other. And may all those involved acknowledge you as the true source of life. In Jesus’ name we pray, amen.